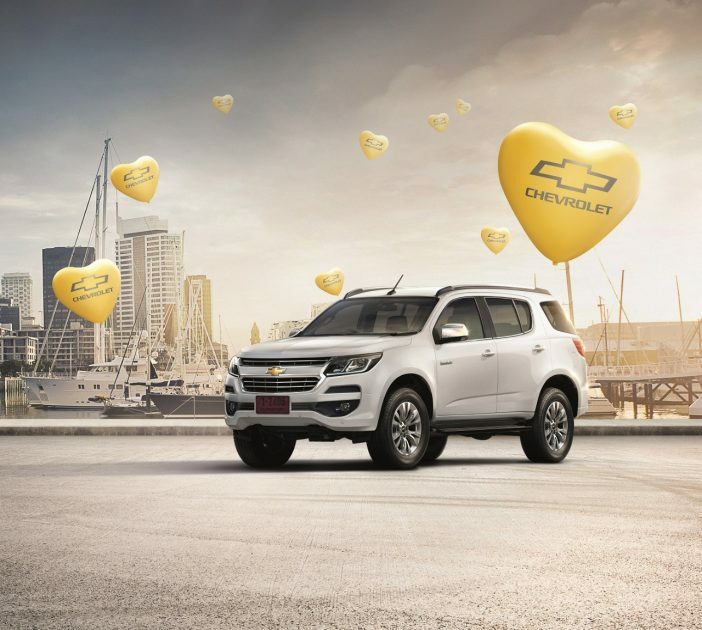 Chevrolet Sales Thailand is launching a new, Valentine’s Day-themed test-drive campaign to encourage customers to try out its new products. The Surprise Yourself campaign has multiple components designed to attract potential Chevy buyers to try out the brand’s newest products. From February 11th-19th, interested parties who test-drive the Colorado, Trailblazer, Captiva, or Cruze will earn a cash coupon worth THB 200 to spend at Starbucks. From February 4th-12th, the brand will also carry out a photo contest on its Facebook page. Couples are encouraged to submit pictures of themselves with a Chevy vehicle and share them on the Chevrolet Thailand Facebook page. Ten winners selected on February 13th will receive Chevrolet swag. These aspects of the Surprising Yourself campaign coincide with the Chevy Love campaign. As part of Chevy Love, customers who purchase an all-new 2017 Colorado pickup truck receive both THB 30,000 in trade-in discounts and a year of complimentary first-class insurance. With regards to the Colorado, it also entails a THB 7,163 instalment package for the Colorado C-Cab and THB 6,306 instalment package for the Colorado X-Cab. The Captiva is also offered with a year of free first-class insurance. The 2017 Trailblazer is also offered with one year of first-class insurance as well as a roof-mounted DVD monitor for the 4×4 and up to THB 20,000 in trade-in discounts. The Cruze sedan is incentivized with a 25% down payment, 48-month instalment package, and three years’ worth of first-class insurance.